With Dallas Limo and Black car service, hiring a party bus is super simple. All you need to do is to select the bus that you want, pay the amount and the bus is yours for as long as you want. The party bus can be hired on a per hour or per day basis, whatever suits your requirement the most. Hiring a party bus is very reasonable as you won’t need to pay a very hefty amount for booking and enjoying the same. This means that this method is definitely much cheaper than partying at a club where you have to pay cover charges as well. Moreover the benefit is that you can bring in your own food and drinks which again proves cheaper. 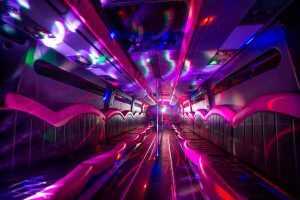 Another benefit of opting for party bus service is that there are many bus options to choose from. There are big size buses as well as medium and small size ones which you can choose according to your friend circle and requirement. So now that you know all about hiring party buses you too can opt for one for your next big party. Dallas Limo and Black car service is the best platform for hiring any kind of vehicle including minibus rentals Dallas TX. So what are you waiting for, before planning your next party, don’t forget to consider this as a option and contact us. We at Dallas offer the most reasonably priced services in town and there is no one better for car rentals than this. Dallas Limo and Black car service is one of the best and most trusted car rental service providers in town. Whether it is taxi services that you are looking for or renting any kind of vehicle, we provide them all and guess what, at pocket friendly prices! We take pride in the fact that we offer services on a very timely basis and that your ride would be the most comfortable that you have ever had. Choose our taxi or cab service and experience comfort and luxury like never before. Our taxi service is one of the most reputed in the area. The main reason behind this is the fact that we provide our taxis in a very punctual and timely manner and you don’t have to wait for a long time. This is the first and most important point when it comes to choosing a taxi service. Our taxi service is such that we charge services at very pocket friendly rates. This proves great for those who need cabs and taxis on a regular basis. You can compare prices and you shall find that no one else provides services at these rates. We have the best drivers and chauffeurs to offer to our clients and customers. This is why the ride that you will have shall surely be your best. It won’t be bumpy and the driver shall be courteous towards you. We have fully trained and experienced drivers who know the routes well and can help you in more than one way. This truly has an impact on your overall experience of riding with us. So now that you know why our taxi service is level apart and comfortable, you too can book by either giving us a call or contacting us through our website. Booking and payments are extremely easy and this makes half the process smooth. Dallas Limo and Black car services can also be used for a number of other services besides cab or taxi rental and they include minibus rentals Dallas TX, limo rentals and many others. So what are you waiting for? 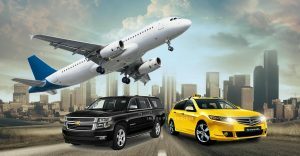 The best taxi service is waiting for you and it shall truly change your thinking and preference towards cabs and taxis. So book today and avail the best prices. Dallas Limo and Black car service is one of the top and most popular car rental companies. The company is known for the fact that it provides some fabulous vehicles for rent and that too at pocket friendly prices. From Limos to Black cars and from party buses to even medical transportation services Dallas Yes, you read that correct, we also provide medical transportation services which can be trusted just like an ambulance. This means that if you or a member of your family is ill and needs to go to the hospital then you can call us for a medically equipped vehicle and trained driver to drive you to the medical facility. To know more about the same, you can go through the following given information. Dallas Limo and Black car service is one of the few rental companies in town which provide the wonderful option of medical transportation. This kind of service requires a sense of responsibility which only someone as reputed as us can take. You can use medical transportation in non emergency situations and those who need to go to medical facilities on a periodic basis may find this service a blessing. You can’t always call an ambulance to take you to and from the hospital and in such cases, medical transportation proves extremely useful. The best thing about this service provided by us is the fact that we don’t charge a mountain for it. Medical patients already have a lot of expenses to deal with and we do not add another problem in their path by keeping rates pocket friendly. So you need to go nowhere else if you require a service like this. All our medical transportation vehicles are extremely clean, hygienic and medically fit to carry a patient. Thus you don’t need to worry about germs and microbes etc. So now that you know all there is to know about our medical transportation service, you too can opt for it if you need it. Dallas Limo and Black car services provide not just this but a range of other services including party bus hire service in Dallas. So what are you waiting for? Contact us today and book a vehicle of your choice for yourself, for a range of purposes. There often comes a time when we have to hire or rent a vehicle to drop us to the airport or pick us up from there. In such a scenario, most of us may prefer taking our own vehicles but it may not always be possible to do so. there are plenty of cabs and taxis waiting outside airports but if you wish to prebook or rent, then which vehicle should you select and on what basis? Well a slight error in judgment here can cost you big and hence the following tips on how to select a vehicle for your DFW airport transportation may prove useful. The first thing to do is to know how much space you would need for the transfer. For example how many people are going to be traveling with you and how much luggage you have are some factors that will help you decide. Don’t hire or rent a vehicle which is too big for you and your luggage and avoid renting a small one as well. There is no limit to the amount that you can spend on airport transportation. While some like to travel in style and luxury, others may be looking for a more economical option. You can even rent limousines and Mercedes for luxury travel whereas for a reasonable trip, it is better to go for a hatchback or sedan of normal price range. Selecting a vehicle has a lot to do with who you are choosing for the same. For example, you must always be sure of the reputation of the rental company as a good company will always send you suitable vehicles of your taste and preference. So now that you know the best tips on how to choose a vehicle for your airport transfers, you can easily pick the vehicle of your choice. It is better to always prebook so that you don’t waste your time on the airport. There are many good rental companies out there such as Dallas Limo and Black car service which provide not just airport transportation but also many other services. 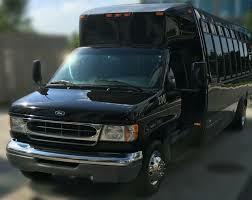 You can even hire minibus Dallas for the same purpose if you are traveling in a group.